If it's so small, how can it be so powerful? 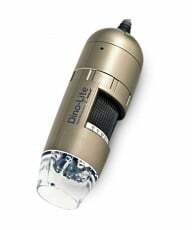 On first glance you might think of the Dino-Lite digital microscope as more of a gadget than an effective, handheld, digital microscope, but it is a professional, handheld, portable microscope that is widely used in industry for inspection applications while also proving popular with hobbyists. 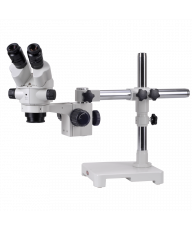 The microscope, whether in contact with the specimen or on the same level (skin is a good example) was constructed to reach maximum magnification and clear focus, depending on which model you're using. The length of the nozzle affects the focal length. 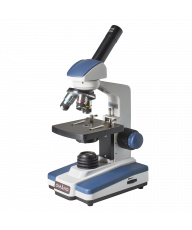 In order to reach maximum magnification, hold the microscope on the specimen until it comes into focus and then continue to zoom until the observed object comes into focus a second time. Now you've reached maximum magnification. Keep in mind that when the microscope is farther away from the specimen you can only zoom in at one magnification range. So, what is the magnification? Magnification depends on the specific model. However, the standard range is 10x-220x or 230x with 240x in some of the newer 4000 and 7000 series models. Enhanced working distance models typically, include up to 92x magnification while T models include fixed 500x magnification. 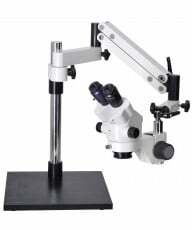 Specialist models can also include different levels of magnification. Do they offer live imaging? Yes. All Dino-Lite models offer live imaging. 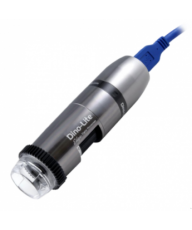 How do I actually use the Dino-Lite Digital Microscope? The setup and installation of the DinoCapture software is very simple and can be completed in a few short steps. Make sure you install the software first; the included instructions will guide you through the process. Make sure you plug the device in AFTER you've installed the DinoCapture software. Once the software is installed and you've plugged in your Dino-Lite digital microscope, now it's time to begin specimen examination. Note: When using any microscope, whether traditional or digital, always begin observing using the lowest magnification setting. 1. Point the Dino-Lite at the specimen you wish to observe. 2. Slowly turn the adjustment knob using your thumb until the image comes into focus on the screen. 3. Continue turning the knob to adjust to a greater magnification, if desired. 4. When the image is at your desired focus, click on the "picture" button to snap a photo. Of, if you're using a Dino-Lite model with the Microtouch feature, just tap the button located on the end of the device. 5. The picture will appear under the picture tab on the left-hand side of your screen. If you want to open it or make it larger, simply double click the image. 6. Here is where you will see a toolbar with various options, such as adding text to the image, changing the resolution and emailing the image. Does the Dino-Lite offer video capabilities? Yes, it is also possible to capture video with the Dino-Lite software. Simply navigate to the "Capture" tab on the main toolbar and click on "Video." Here, you can set frame rates, recording time limit and enable or disable audio. It is important to click on the "Compress" tab before capturing video and select from the list of "Compressors" you can choose from. 1. MicroTouch is not available when using DinoXcope. 2. DinoXcope software only operates effectively at 1.3 MP resolution. As a result, the 7000 series work effectively with DinoXcope software at 1.3 megapixel resolution, but not at higher resolutions. 4. The 5 megapixel Dino-Lite models require the third-party MJPEG codec to be installed. DinoCapture will check for the MJPEG codec and alert the user if it is missing. Because of the higher hardware demands, the frame rate will depend on the resources available to the system.